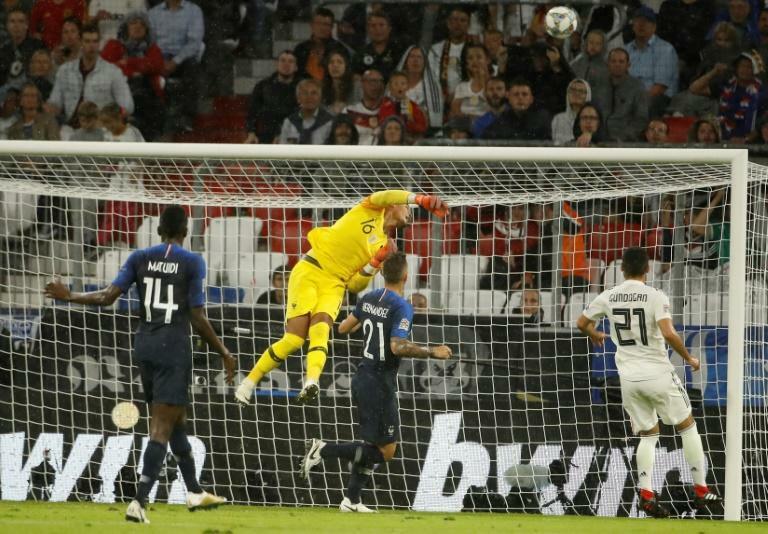 Goalkeeper Alphonse Areola spared his side’s blushes with a string of fine second-half saves as France battled to a 0-0 draw with Germany in their Nations League opener on Thursday. "It was a good first step today. It was about showing people that we aren’t just pulling on the national team shirt as if it were a training bib," Thomas Mueller told ZDF. After a conservative first-half performance, Germany upped the ante in the final 30 minutes of the game, but were repeatedly denied by Areola, France’s third-choice goalkeeper standing in for the injured Hugo Lloris and Steve Mandanda. "“We wanted to focus more on defensive stability, and we had a good balance today between defence and attack." There was no time for Areola to catch his breath, however. Having turned Mueller’s looping ball over the bar, the PSG number one then pulled off a marvellous, one-handed stop from the resulting corner to deny Matthias Ginter.